Why break down, when you can smash it up? Choose your weapon. We have a complete arsenal of weapons perfect for smashing it up! Choose your breakables. We offer multiple packages of breakables of different sizes. We can even print out & add photos to picture frames for a personalized smash session! With the purchase of any package, you can add on your own box of smashable items for a small fee per box! No TVs or electronics. 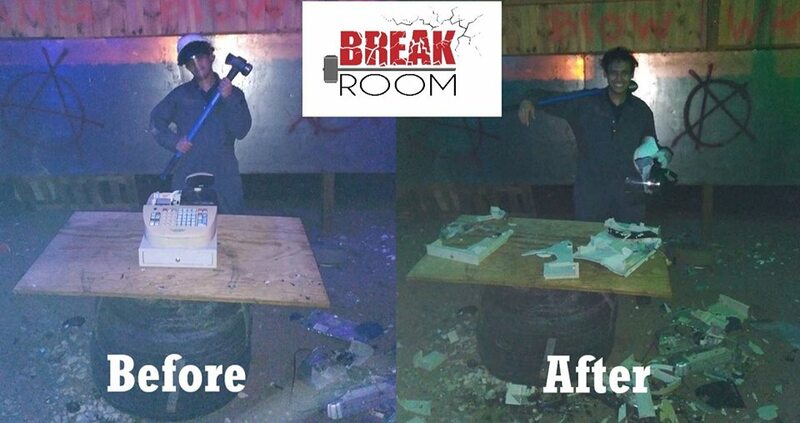 Break Room Tickets Available Now!